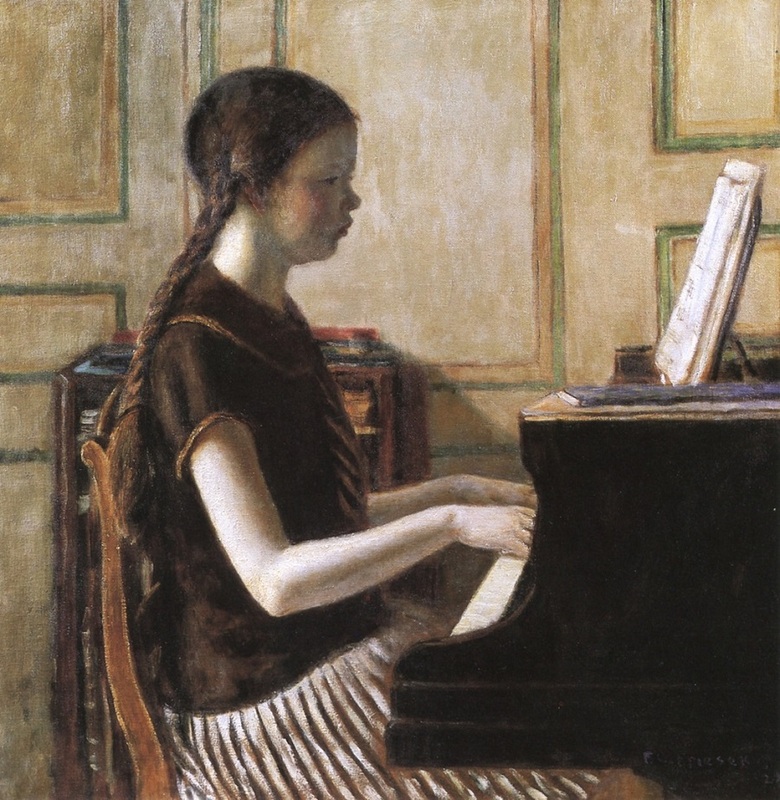 When Carson Smith McCullers was a little girl in Columbus, Georgia, her father bought a piano. As she recalled later in her unfinished autobiography, she had already learned how to play a bit at her aunt’s house, “so when my piano arrived I sat down immediately and began to play. To my parents this seemed like a miracle.” In 1929 she began studying with her first music teacher and practiced as many as five hours a day—to the chagrin of neighbors, “who did not appreciate being awakened as early as 4:00 a.m. by the music of Liszt, Chopin, and Beethoven being played by a ten-year-old,” writes biographer Virginia Spencer Car. The next year Carson was accepted as the only student taught by Mary Tucker, a former soloist whose husband, an Army colonel, had recently moved to nearby Fort Benning. Strongly supported by her mother, Carson became convinced she was on her way to a brilliant career as a concert pianist. Yet, halfway through her four-year stint as Tucker’s student, she became severely ill with rheumatic fever, which was first misdiagnosed as pneumonia. Discouraged and fatigued, she began to doubt her abilities—both her talent and her endurance—and she told a friend her new hope was to become a writer. In 1934, when she graduated from high school, she finally confessed to her mother that she no longer felt she could become a concert pianist and, during the 1935–36 academic year, she went to New York University and enrolled in a creative writing class taught by Sylvia Chatfield Bates, a respected author of numerous now-forgotten novels and stories. 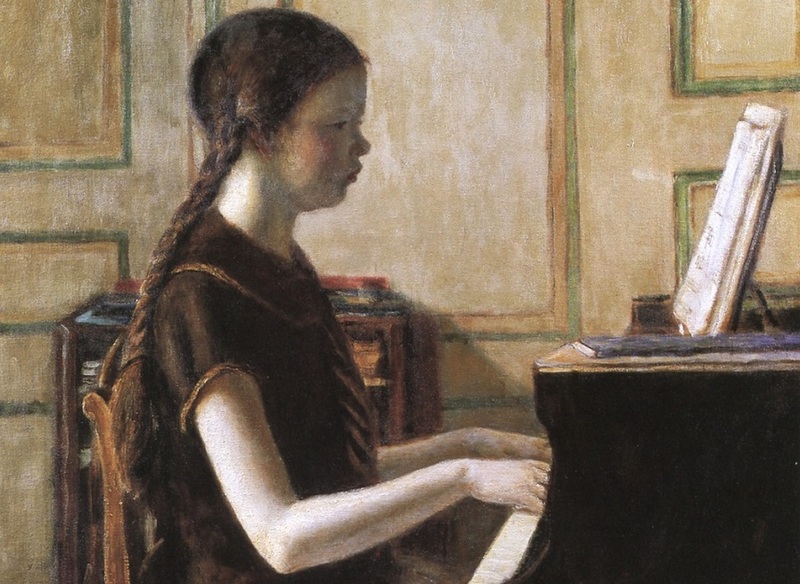 Of the pieces Carson wrote for the class, one in particular caught the eye of her teacher: “Wunderkind,” a story about a young girl who had been told at an early age that she was a prodigy. “Some will think this story is too long. I don’t,” Mrs. Bates wrote, but she suggested that her student make a few surgical cuts “to be on the safe side with regard to publication since you are unknown as yet.” She also advised Carson to prepare it for submission to Story magazine. 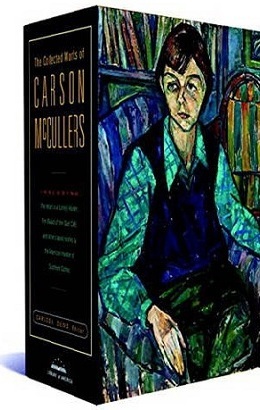 And so, the year before the young author married and became Carson McCullers, her debut story was accepted for publication and appeared over the byline Carson Smith. “It is hard to realize the prestige and importance that Story magazine had at that time for young authors,” she later wrote. The nineteen-year-old received twenty-five dollars for her debut and celebrated by purchasing chocolate cake, a bottle of wine, and a story collection by Thomas Mann. Around this time, she also began working on a long story tentatively titled “The Mute,” which ultimately was published in 1940 as The Heart Is a Lonely Hunter. How does creation begin in any art? As Tennessee wrote The Glass Menagerie as a memory play, I wrote “Wunderkind” when I was seventeen years old, and it was a memory, although not the reality of the memory—it was a foreshortening of that memory. It was about a young music student. I didn’t write about my real music teacher—I wrote about the music we studied together because I thought it was truer. The imagination is truer than the reality. Notes: Mister Bilderbach addresses Frances as Bienchen, a term of endearment meaning, literally, “little bee” (as in “my busy little bee”). Le Voyage de Monsieur Perrichon is an 1860 comedy by French playwrights Eugène Labiche and Édouard Martin. The Russian Tea Room (page 68), near Carnegie Hall, is a New York City restaurant established in 1927 by former members of the Russian Imperial Ballet. 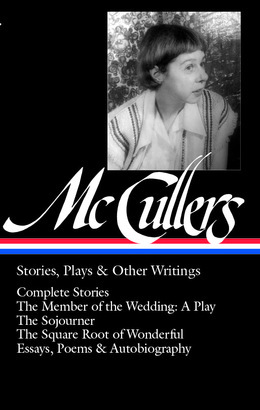 McCullers refers to a number of musical pieces and performers, most of which do not require further identification for an understanding of the story. The following information is provided for the curious. The Second Hungarian Rhapsody (page 63) is Franz Liszt’s 1847 Hungarian Rhapsody No. 2 for Piano in C-Sharp Minor, the most popular and recognizable of Liszt’s nineteen Hungarian rhapsodies. The Bach Inventions are brief solo keyboard pieces by Johann Sebastian Bach that he wrote as exercises for his students. The Bloch (page 65) refers to a piano sonata by the Swiss-born American composer Ernest Bloch and performed for the first time the year before “Wunderkind” was published. The Fantasia and Fugue in G Minor was written for organ by Bach and later transcribed for piano by Liszt. The Harmonious Blacksmith (page 70) is the popular name for “Air and Variations,” the final movement of Handel’s Suite No. 5 in E Major. The four musicians mentioned on pages 67 and 68 were well known at the time of the story’s publication: English pianist Myra Hess, American violinist and conductor Yehudi Menuhin, Austrian pianist and composer Artur Schnabel, and Polish-born violinist Bronisław Huberman, founder in 1936 of the Palestine Symphony Orchestra, later known as the Israel Philharmonic Orchestra. She came into the living room, her music satchel plopping against her winter-stockinged legs and her other arm weighted down with school books, and stood for a moment listening to the sounds from the studio. . . . If you don't see the full selection below, click here (PDF) or click here (Google Docs) to read it—free!